Your experience with grief and loss is personal and unique; there isn’t just one “right way” to process grief. 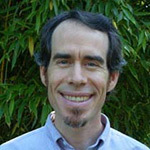 Evan Kimble is a compassionate witness and an expert guide for your journey to healing. Evan combines scientifically-proven techniques with spiritual perspective and down-to-earth wisdom, to help you make safe passage through this difficult time.